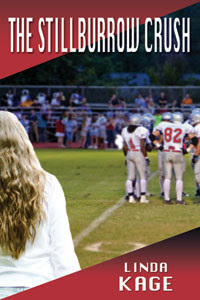 But when she gets assigned to interview the football team's beloved quarterback, she takes one look into Luke Carter's blue eyes and is a goner. Suddenly, she doesn't like her lowly rank so much. Then her dreamy, popular crush surprises her when he starts to act as if he likes her in return. But there's no way Luke Carter could possibly ever like a nobody like Carrie Paxton. Is there? Sounds romantic, right?I really want to read this one! I like the whole concept of it, and it sounds right up my alley! OH, I really want to read this one! I need to check my settings on my e-mail because a lot have been getting bounced back. Anyway Sara CCed me the e-mail saying I was next so I will get it read asap after it gets here! Cool book!! I would like to read it too when it comes out. Happy Holidays!!! !